1. 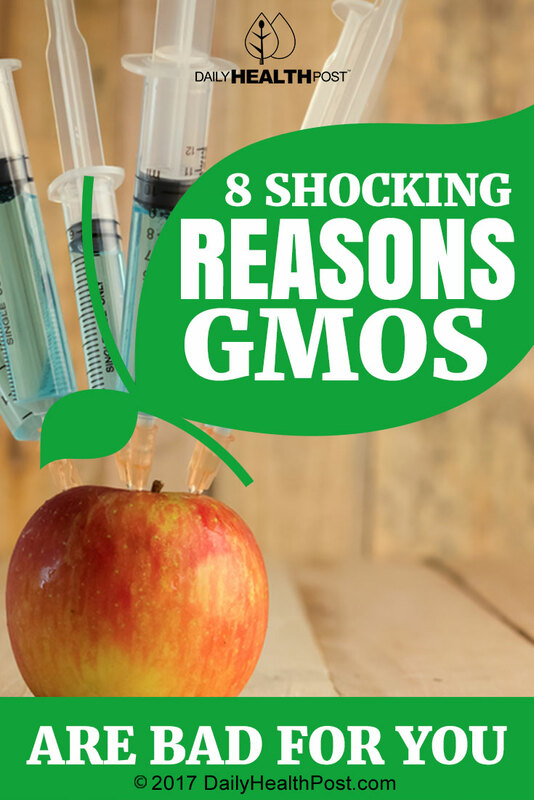 The health consequences of eating genetically modified organisms are largely unknown. 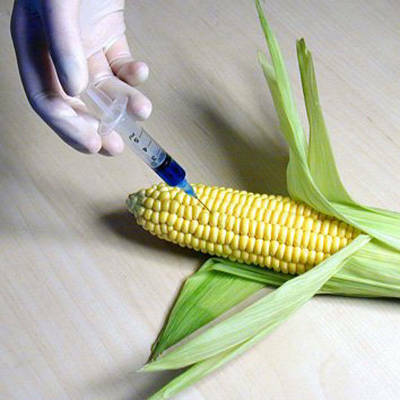 Genetically engineered foods have not been shown to be safe to eat and may have unpredictable consequences. When trans-fats were first introduced, corporations battled to get them onto your grocery shelves – and it is only decades later that this once novel food has been proven to be extremely unhealthful. Many scientists are worried that the genetically altered foods, once consumed, may pass on their mutant genes to bacterium in the digestive system, just like the canola plants on the roadsides of North Dakota. How these new strains of bacteria may affect our body systems’ balance is anybody’s guess. 2. Food items that contain GMOs are unlabeled in America. Why so sneaky? The European Union has banned GMOs, as have Australia, Japan, the UK and two dozen other countries that recognize that a lack of long term studies and testing may be hiding disastrous health defects. 3. Genetic engineering reduces genetic diversity. When genes are more diverse, they are more robust; this is why a pure bred dog tends to have greater health problems than the dear old mutt. Plants with reduced genetic diversity cannot handle drought, fungus invasions or insects nearly as well as natural plants, which could have dire consequences for farmers and communities dependent on GMO crops for survival. 4. Once the mutant genes are out of the bag, there is no going back. Genetically modified organisms contaminate existing seeds with their altered material, passing on modified traits to non-target species. This creates a new strain of plant that was never intended in the laboratory. In North Dakota, recent studies show that 80% of wild canola plants tested contained at least one transgene. In Japan, a modified bacteria created a new amino acid not found in nature; it was used in protein drinks and before it was recalled it cause severe mental and metabolic damage to hundreds as well as several deaths. Japan banned GMOs after this horrific experience. 5. GMOs are not the answer for global food security. Genetically engineered crops have shown no increase in yield and no decrease in pesticide use. In many cases other farm technology has proven much more successful, and even Monsanto agrees that its genetically engineered crops yield less than conventional farming. 6. Genetically engineered foods have not been proven to be safe, but the few studies conducted don’t look so hot. 7. Big biotech firms have very sketchy track records. These massive biotech companies have a history of toxic contamination, deceiving the public and suing small farmers when their patented seeds blew across the fence. Biotech firms sell sterile seeds to African farmers- meaning the seeds are only good for one season, because the plants that grow up will not be able to reproduce. Farmers must buy new seeds every year instead of growing from the previous year’s yield. GMOs are not the farmers’ friend. 8. GMOs require massive amounts of pesticides, herbicides and fungicides. These things are poisons, and should not be eaten or allowed to run off into our water supply. But they are, every day, by companies who care far more about the bottom line than they do about your health, your environment or your children’s future. Now you do; your best defense is to purchase certified organic food, which cannot contain any GMOs, and to tell your friends and loved ones to do the same.